Including the Air Max Plus, Air Max 1 and Air Max 97. 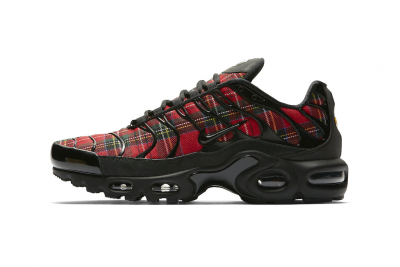 Just in time for the Fall/Winter 2018 season, Nike is launching an Air Max “Tartan” pack featuring the Air Max Plus, Air Max 1 and Air Max 97. All three pairs from Nike’s Air Max “Tartan” pack will be releasing in women’s sizing on September 1 at Nike’s web store and select retailers. The Air Max 1 will retail for $110 USD, the Air Max Plus for $160 USD and the Air Max 97 for $170 USD. For more patterned sneakers, the KITH x Nike LeBron 15 “Closing Ceremony” sneaker will be launching this week.